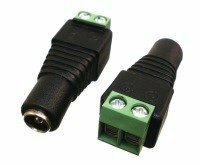 12 volt to 1.5 volt , 3 volt, 5 volt, 6 volt, 7.5 volt, or 9 volt switching DC/DC converters voltage regulators with 2 amp output car adapter, 12V cars or 24V airplanes, 12 volt to 6 volt automotive dc dc converter. This efficient "buck converter" or voltage-reducing DC/DC converter is designed to power CD players, walkmans, video games, portable TVs, tape recorders, GPS, hand scanners, and radios from automobile cigarette lighter power points. 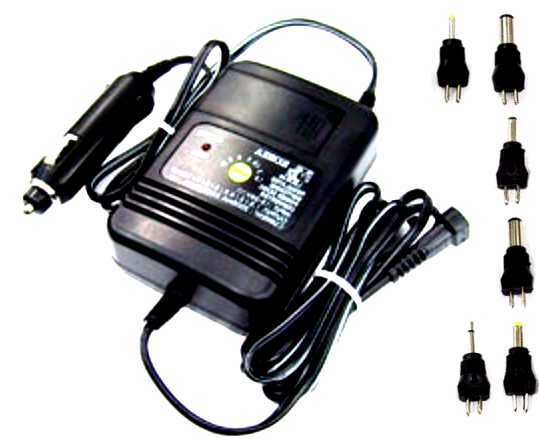 It is an extremely reliable, full switchmode power supply. These are used extensively as OEM regulating power supplies when 6 to 30 volts is available, and a reduction in voltage is required. These are consumer devices, but are used in many OEM and engineering applications due to their low cost and high reliability. They are used in heavy equipment, cell phone towers, microwave towers, and many other places. Retail or Wholesale. The PST-DC292 works fine in either 12 volt or 24 volt vehicles, boats and airplanes. **Although the 12 volt setting requires 14 volts to stay regulated, the 13.6 volts supplied by a car battery even when the car is off will supply over 11.5 volts, will be adequate for most 12 volt devices. Use in combination with solar panels. I use this little DC/DC converter for stepping down the 18V from the Instapark Mercury27 solar panel to 12V for devices which need to be charged at 12V, such as intelligent AA/AAA battery chargers (e.g. POWEREX MAHA C9000 (super highly rated AA/AAA charger) or the very small and inexpensive ($ 10.00) ASTAK) via their male car charger plug) (ordered separately for the MH-C9000). In bright sunshine, I was even able to charge batteries in the MAHA C9000 (12V 2A input) and a cellular phone (5V 0.5A) a the same time from the Mercury 27W solar panel (total W = 12 x 2 + 5 x 0.5 = 26.5W). Thus, I ensured that this solar panel could charge at its designated 27 watt output. This DC converter could also be used to charge other devices at different V ratings (altered via its dial) which I tested (3V = 3.5V/2.5A, 6V = 6.5V/2.5A, 9V = 9.5V/2.5A), is just small enough to fit in the pocket of the Mercury 27W panel and will directly charge 12V devices via the range of plugs provided (5.5 x 2.1mm, 5.5 x 2.5mm, etc.) 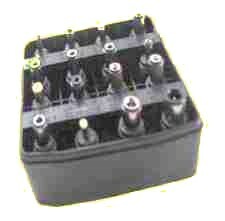 and you can also obtain a greater range of these connectors from PowerStream. Alternatively, you can charge multiple 5V USB devices (27W/5V = 5.4A: e.g. a 2.4/2.1A, 2.0A and a 1.0A device (via various triple USB chargers (see above) or a 2.4, 1.5A and 1.5A (via a Bolse intelligent triple USB charger) device at the same time!) using a 5.5 x 2.5 mm female to female car socket (BixPower). Thus, I highly recommend this inexpensive DC converter for use with the Mercury 27W panel. WARNING: The only criticism I have of the PowerStream PST-DC292 DC/DC converter is that the set of outlet plugs of different sizes (e.g. male 5.5 x 2.5/2.1 mm) are connected to the outlet cable via two prongs (positive and negative poles) and it is unnecessarily awkward to see which orientation will give you the correct outlet polarity (positive rather than negative). In this case use a multi-meter to check the outlet polarity. If you frequently need to change between different sized outlet plugs, I suggest that you put on the 5.5 x 2.1 mm (most common) outlet plug, check that it is the correct polarity, and then use the VkTech 5.5 x 2.1 mm female to 28 different sized plugs to ensure that the polarity will always be correct. Step down voltage 6 volt. Regulated voltage reducer. 12 volt to 6 volt reducers. DC to DC voltage reducer. 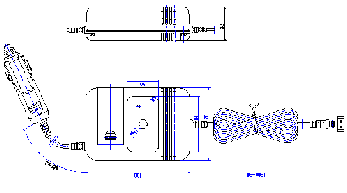 12 volt to 5 volt divider. 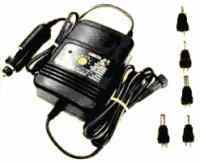 24 volt to 12 volt Power converter. How to convert 12 volts to 3 volts.